The conference was attended by nine member countries: China, India, Indonesia, Japan, Republic of Korea, Malaysia, Mongolia, Philippines and Thailand. The conference was held in parallel with the four Cluster Sessions organized by NRCP. The sessions were composed of a series of presentations addressing the health issues from such variety of perspectives as Culture, Climate Change, Technology and Environment. Upon commencement of the conference, welcome remarks were delivered by Dr. Alvin B. Culaba, President of NRCP followed by the opening remarks of Dr. Jaime C. Montoya and messages delivered by Dr. Estrella F. Alabastro, Secretary, Department of Science and Technology (DOST) Philippines and Prof. Ichiro Kanazawa, President of Science Council of Japan (SCJ). 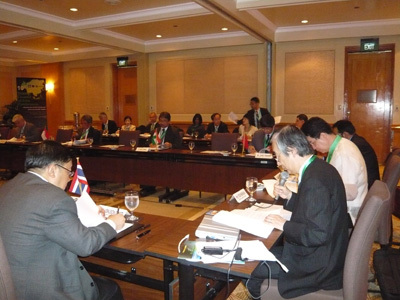 On 15 June, the Second New Framework Examination Committee Meeting (NFEC) was convened and chaired by Prof. Yoichi Muraoka, Secretary General/Treasurer of SCA. 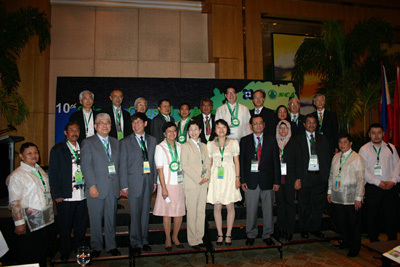 Of the SCA Joint Projects, two (2) projects, “Sustainable Water Resources Management in Asia” and “Action Plans for Natural Disaster Mitigation” organized individual sessions on 15 June. SCA Special Sessions, namely “Pop Culture in Asia: Memories of the Past and the Present in the Films of Asia”, “The Opportunities and Challenges of Energy Investments in the Philippines” and “Today’s Realities Through the Lens of Social Sciences”, were organized on the same day. The Progress Report of the SCA Joint Project “Open Data and Knowledge Environment for Innovative Research on Poverty Free and Ecosystem Protection in Asia (ODKE)” was presented by Prof. Liu Chuang, China Association for Science and Technology (CAST), China.